Can "Teasing" Go Too Far? This past weekend, I went to the documentary of Sarah Palin’s public service experience. My wife attended reluctantly. She is a Democrat, and went with me as a pure act of love. What were our impressions? To say they were “mixed” would be an understatement. The documentary is based on Sarah Palin’s book, “Going Rogue,” and faithfully represents the experience of Governor Palin in coming to prominence on the national political scene. It tacks on a Tea Party connection at the end, fostering the notion that Sarah Palin is the de-facto leader of the movement. The film ends with Andrew Breitbart generating enthusiasm for the Tea Party and its potential for changing the political climate in America. The movie has some faults. It is annoying in the way it intersperses staged scenes of dramatic action. Actors who play to the camera in crowd scenes and in smoke-filled rooms break the sense of cinéma vérité. How does the audience react? The theater we attended in Denver featured an older audience. 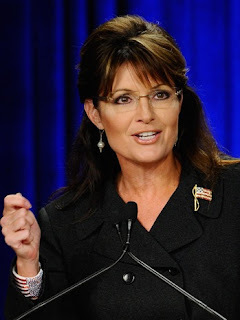 The female members of the audience would occasionally let out a “whoop!” or a “Go Sarah!” when Governor Palin stood up to the various forces arrayed against her. The film is inspirational, but my wife was completely put off by the whole experience. She sees Governor Palin as opportunistic and calculating, and thinks the governor is using politics as a “get rich quick” scheme. She believes Mrs. Palin is an inadequate mother to her children, and is a person who plays to a base of religious fundamentalists. Her take is that Sarah Palin as an affront to sensible women everywhere. My wife is a testament to the power of our American culture. In a few short months, our culture has fashioned an extreme caricature of a female political figure, and has made it believable. Just three years ago, very few people outside of Alaska knew who Sarah Palin was. Now, a large number of Americans have been taught to despise her. This movie has an opportunity to strip that persona of its validity, but it falls short. “The Undefeated” relies on its audience having an “Inside Baseball” knowledge of politics. The problem is that if you are a normal American, you probably have no idea who Mark Levin is. When he is featured in the movie, you lose the impact of his remarks because you may not understand why he is there. The same is true of Andrew Breitbart. His credentials are shown for a few seconds below his picture, but there is no character development. We have no understanding of his journey. His remarks end up lacking legitimacy because the film doesn’t tell the audience who he is. Yes, “The Undefeated” may be ground-breaking, but it is unsatisfying. Linked by Chris Smith at The Other McCain! Welcome back, Smitty. Enjoy your R&R with the Mrs. and the coming "Blessed Event." John Nolte at Andrew Breitbart's Big Hollywood directs our attention to The Scorecard. Also note this page. Scroll down to the letter grade rankings in the bottom right hand corner. If you are interested in Governor Palin, you rank her either as an "A" or an "F."
We went to see the movie "Buck" this past weekend. It is a documentary about Buck Brannaman from Cedar Creek Productions, and is quite a bit better than Stephen Bannon's work at Victory Films. "Buck" has an emotional sequence toward the end that shows the savaging of a handler by a stallion. Contrast that with the savaging of Governor Palin that is shown in the first few minutes of "The Undefeated." Note that in "Buck," the savaging is a problem. In "The Undefeated" it is celebrated as entertainment. Smitty at The Other McCain is a dad! Let this be the first link for the World's Youngest Blogger.